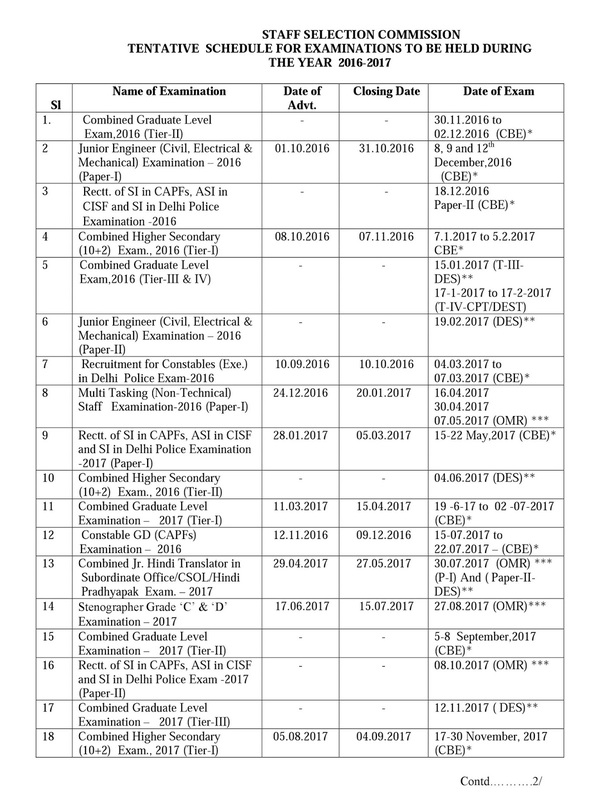 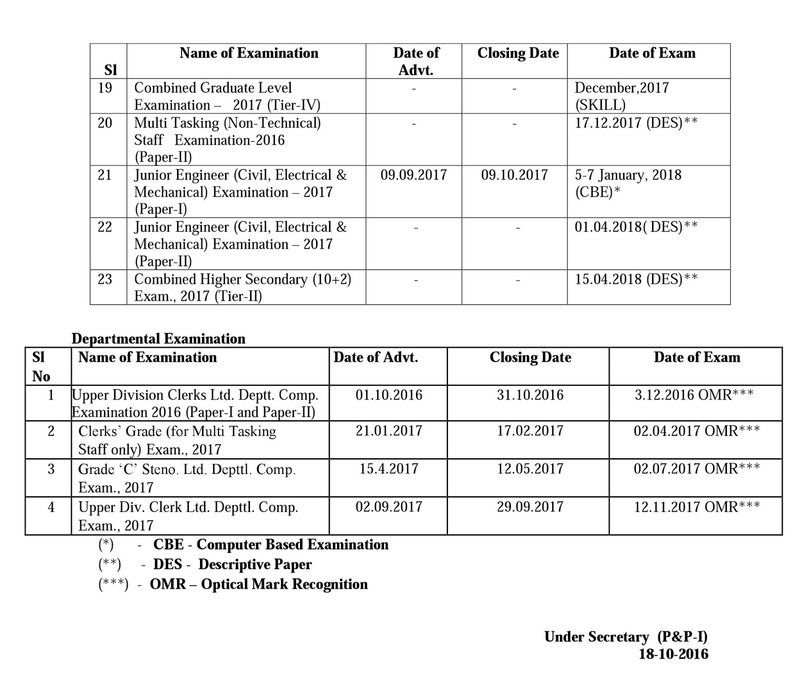 SSC has uploaded the tentative examination schedule for the year 2016-2017.We are sharing the same with you. 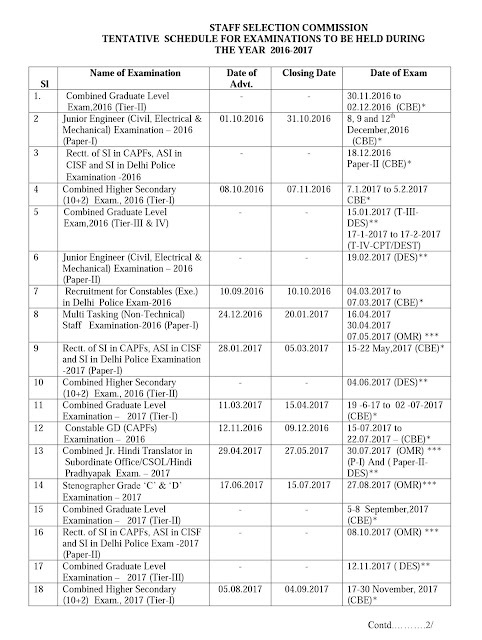 You may download the Notice PDF from the link provided below. 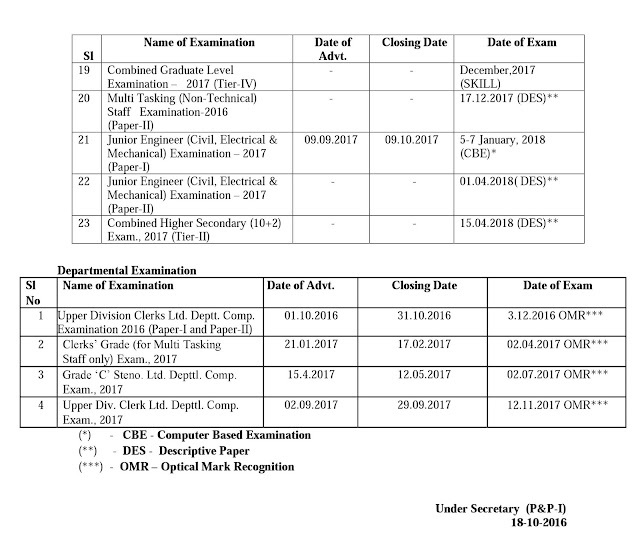 (Tentative Schedule For Examinations To Be Held During The Year 2016-2017).